Chrysanthemoides monilifera ssp. 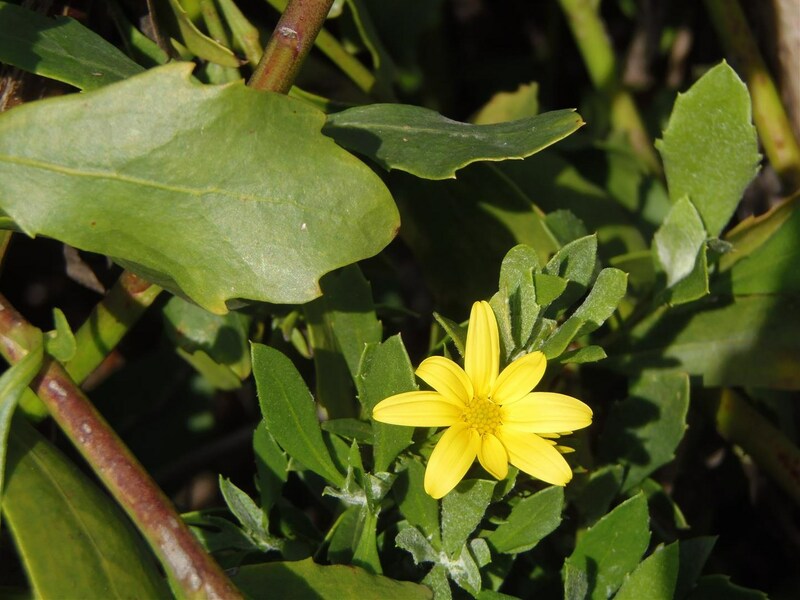 monilifera (boneseed) is a shrub (family Asteraceae) with yellow flowers and oval-shaped leaves found in the south coast ranges of California. It is native to southern Africa. It favors grasslands and scrub and chaparral habitat. It spreads by seeds which travel via water, machinery, birds and other animals.